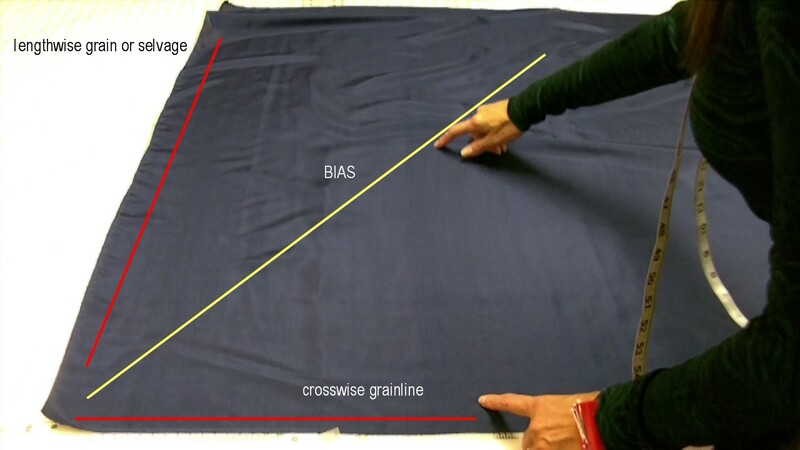 To find the true bias: lay your fabric on a flat surface. It is easier if there is a grid to follow in order to line up your grainlines. Here I line up the crosswise grainline and the fabric salvage. Take one corner and pull the fabric to match the selvage with the crosswise grain. This will create a triangle. 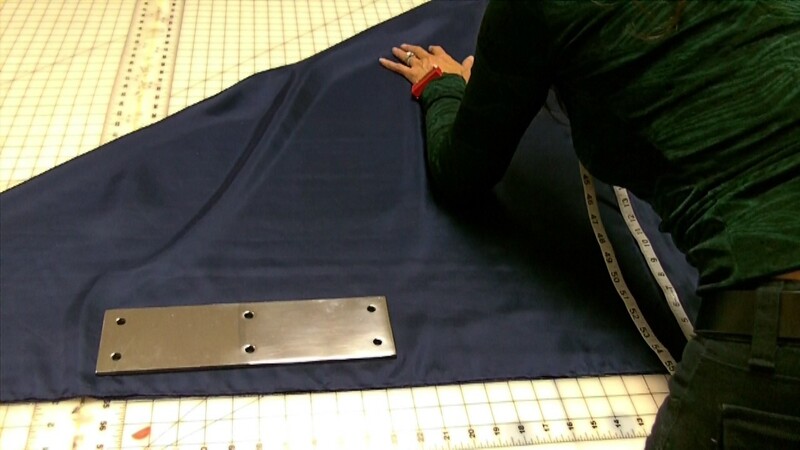 When working with slippery fabric, use a weight at one end so you can maneuver the fabric around. 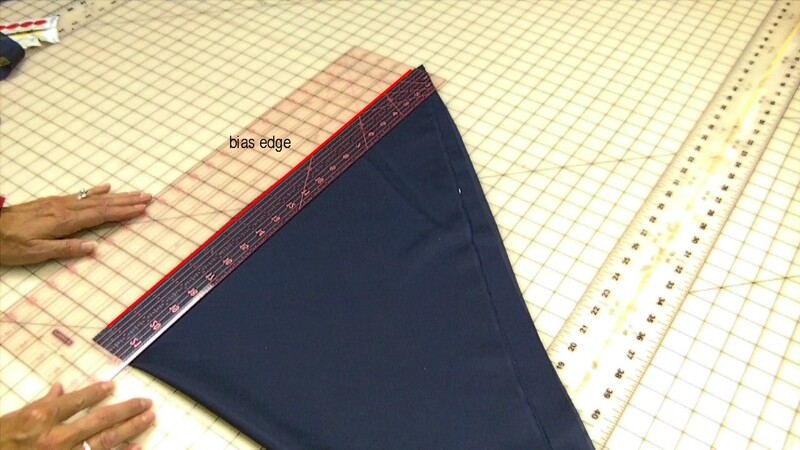 The bias is along the folded edge. 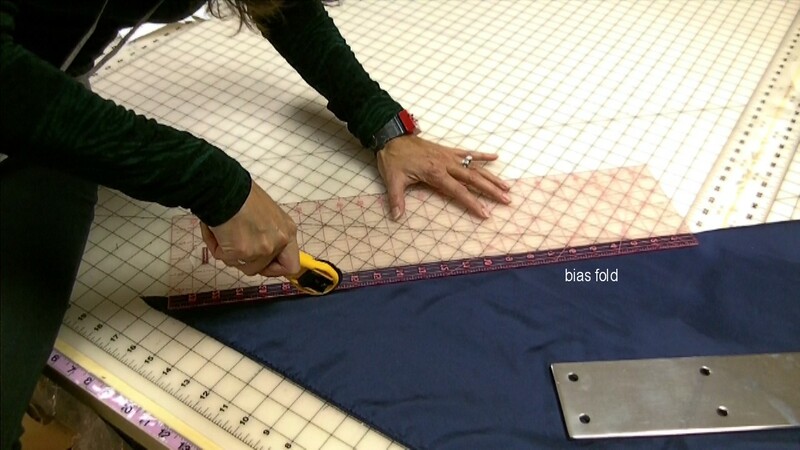 Align a see through ruler along the bias edge. 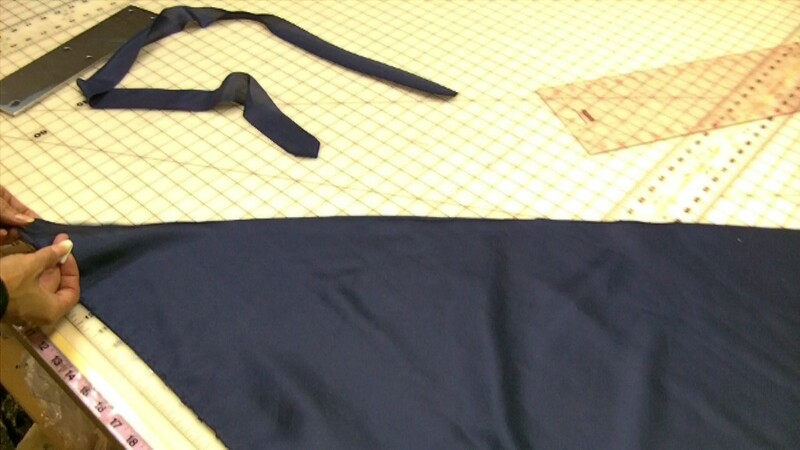 I want 2″ bias strips so the first cut will be at the 1 inch mark because I am on the fold. Now you will see you have a nice cut line on the bias. 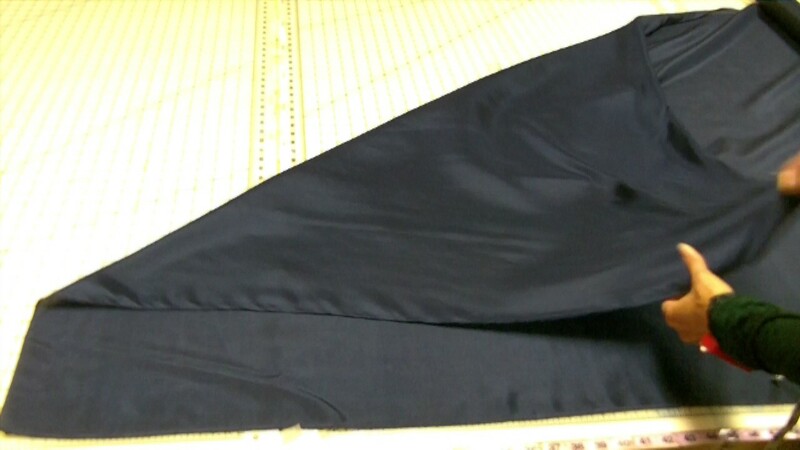 I then take the bias line and fold the fabric in half, so I don’t have to cut so far. 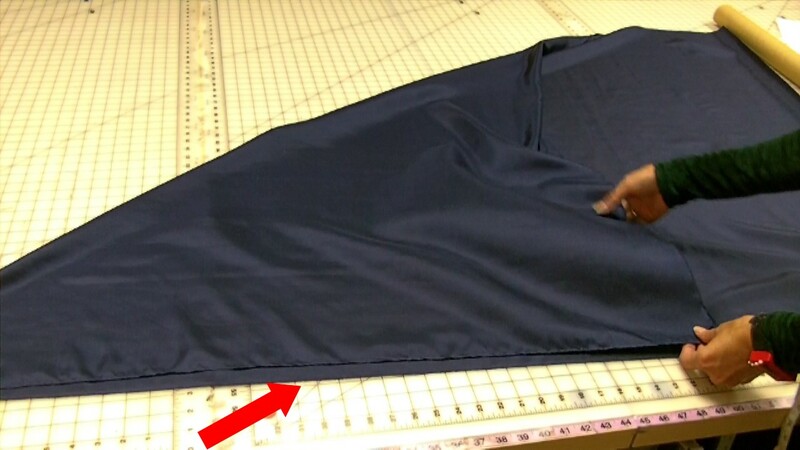 I also move the fabric so I can line up the edge of the fabric along my grid underneath. Again, using the see through ruler, cut every 2 inches. 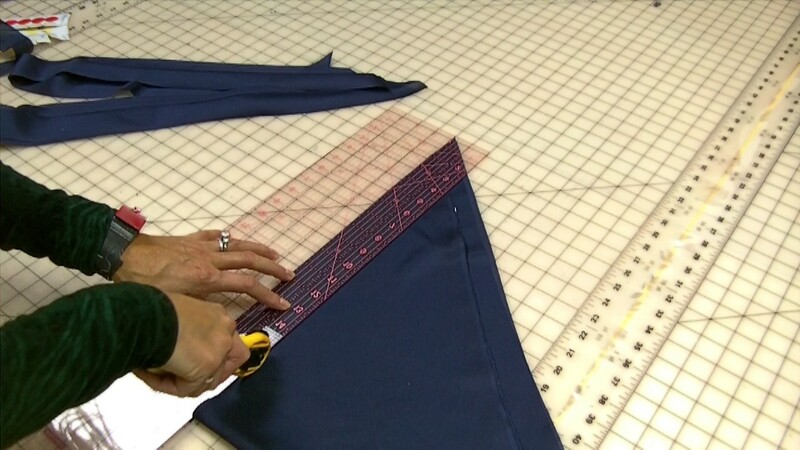 Keep cutting strips until you run out of fabric. I always cut more than I need, you never know when you might need a strip of bias! Does anyone have any other tips for cutting bias strips … especially when cutting slinky, slippery fabric? I would love to hear your ideas. the theme and the skin must be designed as per the theme. desirable and appealing in just a short span of time. top right corner of the page. That’s so funny – there are still lamprey’s. Every once in a while there will be one attached to the side of a salmon, they are so creepy!